I have been testing Barber Pole UK ‘Original’ Beard Oil, as usual I gave my beard a good wash and then opened up the box that contains the 30ml (1fl/oz) bottle of beard oil. Its the first time I have used an oil that has a glass dropper and its by far the easiest method of dispensing the oil and is a really nice touch. 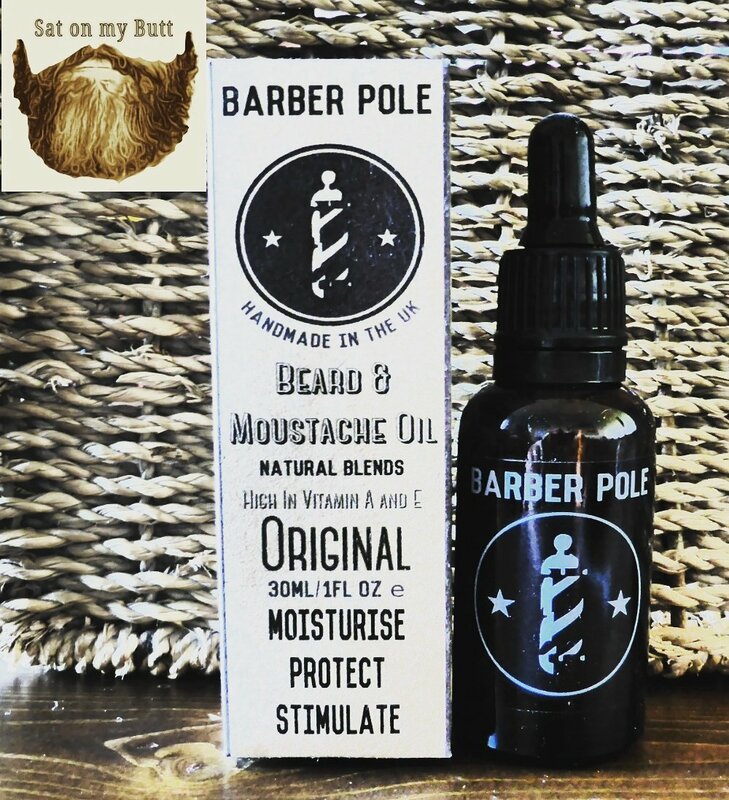 Its a thin light oil and has an a nice aroma, it gives your beard a really fresh feeling. The reason for that is that it contains Tea Tree Leaf Oil has that gives it that fresh stimulating feeling, Citrus Limon Peel Oil which helps make your beard strong, healthy and shiny and Peppermint Leaf Oil that also give sit that fresh zing type feeling and helps promote hair growth. The base oils that these essential oils are blended into are Grape Seed rich in Vitamin C and E., Avocado Oil to help with Untamed or dry hair. It is also conditioning, nourishing and will help to add strength and shine and Jojoba Seed Oil that has Antibacterial properties and helps treat dry skin and hair. The oil gave my exceptionally dull beard some shine and also gave it some hold and so helps keep it looking neat and tidy, all in all this is a nice oil and is also a nice looking product. Its available from their website for £9.99 £7.99 by clicking on the buy button at top! All in all this a nice beard oil and you won’t regret buying this for your beard.